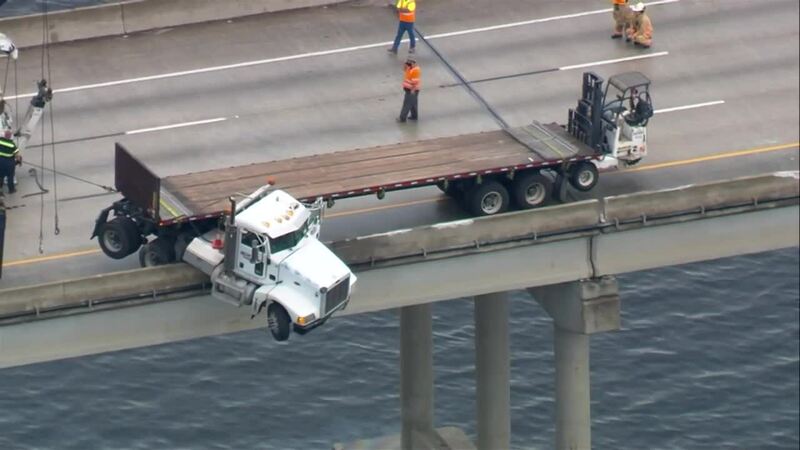 ELLENTON, Fla. (AP) — A traffic accident left a truck partially dangling over a Gulf Coast bridge and backed up traffic for miles on one of Florida's busiest highways. 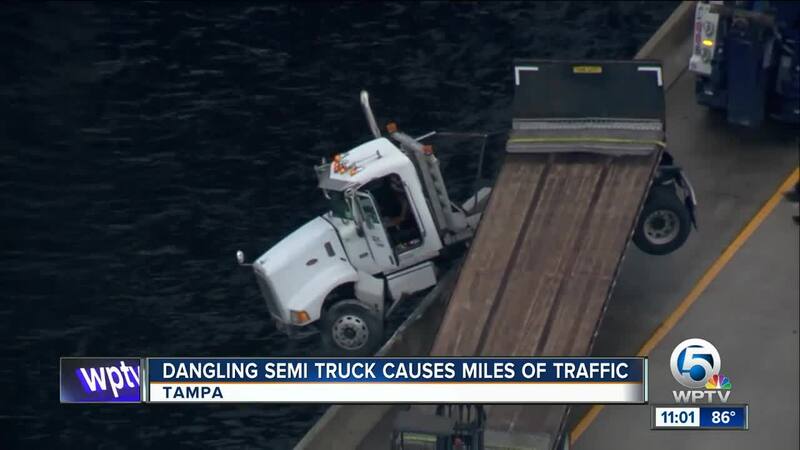 The accident on Friday morning left the cab of the truck dangling over the JD Young Bridge and shutdown northbound lanes of Interstate 75 north of Sarasota, Florida. Fox 13 News in Tampa reports that the accident backed traffic up for miles during the morning rush hour.